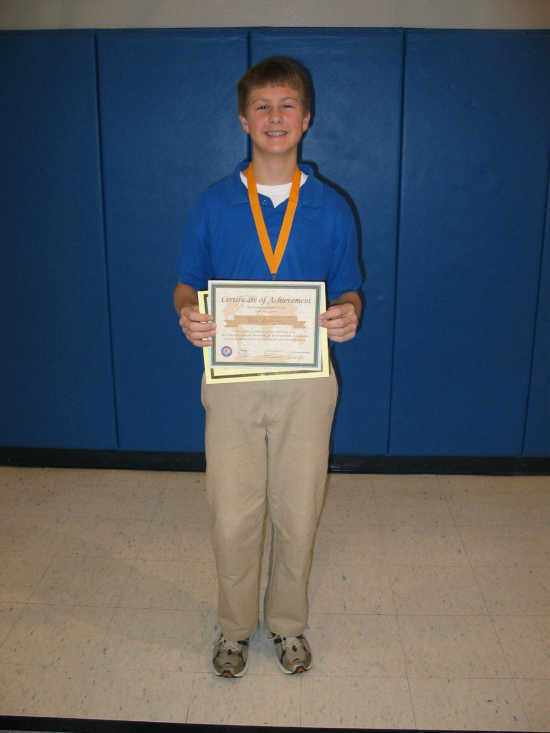 Ben Dohogne, son of Stuart and Kim, an eighth grader at St. Mary Cathedral School in Cape Girardeau, Missouri won the school level competition of the National Geographic Bee on January 12, 2010 and a chance at a $25,000 college scholarship. The school-level bee, at which students answered oral questions on geography, was the first round in the 22nd annual National Geographic Bee. The Bee is sponsored by Google. The kickoff for this year's Bee was the week of November 9, with thousands of schools around the United States and in the five U.S. territories participating. The school winners, including Ben Dohogne, will now take a written test; up to 100 of the top scorers in each state will be eligible to compete in their state Bee April 9, 2010.